Meet Some of Our Sociology Majors! Taylor Alouf (’18) is a Sociology major and Biology and Health & Human Services Minor. Her major sociological interests include public health policy and social inequality, especially pertaining to refugees, homelessness, and other financially vulnerable populations. She is currently serving as the World Relief Coordinator for the Student Association for the Advancement of Refugees and a Freshman Resident Adviser, in addition to serving on several other organizational leadership teams across campus. This school year she hopes to be acting as the Vocational Education Intern at World Relief Winston-Salem. After graduation, Taylor hopes to pursue a master’s degree in Social Work. Emily Beeland (’19) is a Sociology major and a Politics & International Affairs and German Studies minor. Her major sociological interests include political sociology and social in equality, especially pertaining to gender. She is currently one of the Vice Presidents of the WFU Archery Club, as well as a barista at Campus Grounds. This fall, she will be a participant of Wake Washington, where she will be interning with the German American Heritage Foundation and Museum. After graduation, Emily hopes to either pursue a PhD in Sociology or work within public policy. Jasmine Brown (’18) is a Sociology major and American Ethnic Studies minor. Her major sociological interests include social inequality, especially pertaining to gender, race, and ethnicity, political sociology, public policy and education. She has served as a president, treasurer, and as an organizational leader in other capacities for several on-campus organizations. She has also served as a Girl Scout leader for the past 4 years and is a member of Delta Sigma Theta Sorority, Inc. This summer she is working as a legal intern at a law firm in the Charlotte Metro area. After graduation, she plans on attending law school and is considering getting a dual JD and Masters in Public Policy degree. She eventually wants to get an LLM in a human rights related legal field. 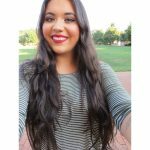 Jessica Morales (’19) is a Sociology major and an American Ethnic Studies minor. Her major sociological interests include immigration studies, political sociology and social inequality pertaining to women’s rights. She has studied abroad in London in the Spring of 2017. She is currently a Magnolia Scholar and a part of First in the Forest. After graduation, she plans on attending law school to pursue a career as an immigration lawyer. Alexandra Reyes (’18) is a Sociology and Economics double-major. She has worked as a research assistant in the Anthropology department and assists with Dr. Brown’s research on immigration policy. She received an ACC-IAC research grant to study the effects of Alabama’s 2011 anti-immigrant bill on Latinos’ sense of belonging and on public perceptions of Latino immigrants . Alex will spend her spring semester in Barcelona. After graduation, she hopes to earn a PhD in Sociology or pursue a career in marketing. Cameron Steitz (’18) is a Sociology major with minors in Latin America Studies, Chemistry, and Environmental Studies. He is a resident advisor, a sustainability ambassador, a student worker at the Pro Humanitate Institute and Campus Kitchen, a certified PEER Educator with a focus in mental health, and is a part of the Global Laureate Academy. He serves on the College Advisory Board for Winston-Salem and has worked in the nonprofit community, including research and volunteering with ABC of NC, a therapeutic and educational center for children with autism spectrum disorder. His interests include social and environmental justice, immigration policy, and political sociology. He hopes to pursue a career in student affairs.